New Delhi, India -- The latest exhibition at India’s National Museum gives the impression of an art gallery turned into a Buddhist shrine, one soaked in spiritual asceticism, devotion and artistic ornamentation. 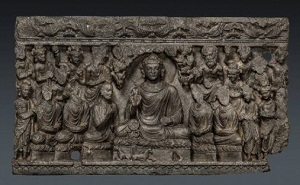 About 90 ancient and some modern exhibits – including sculptures, manuscripts, religious objects – are part of a narrative on the rise and expansion of Buddhist art in India and neighbouring countries. The artifacts roughly cover a span of 1,800 years from the 1st century CE until the 19th century, drawn from Afghanistan and Pakistan in the west to Bangladesh and Myanmar in the east. From India, the objects belong to Bihar (including important pilgrimage sites of Nalanda and Bodh Gaya), Uttar Pradesh, Madhya Pradesh, Odisha and Tamil Nadu. Pivotal to the corpus of Buddhist iconography is the life of the religion’s founder – Lumbini-born prince Siddhartha, who chose the path of renunciation to become the Buddha (the enlightened one) and achieved nirvana. The exhibition, which was on display at the New Delhi museum till Nov. 30, highlights the historical shift from an “aniconic” representation of Buddha to iconic worship. Before being sculpted into human form, his existence was depicted through the Buddhist wheel of law, the sacred Bodhi tree or his footprints, the exhibition shows. But, more than the personification, it is the actual sculpting of what Buddha may have looked like that gave him the larger-than-life status of a deity, which has its origins about 2,000 years ago in Gandhara (Pakistan-Afghanistan region) and Mathura (north India). Elaborate sculptures depict landmark scenes from Buddha’s life – his miraculous birth, departure from the royal palace, self-realization, the first sermon, descent from heaven, the miracles he performed and death. Notwithstanding the elaborate quality of these artifacts, it is the singular, human representation of Buddha that stands out the most. The statues – some placed against a pale brown wall, accentuating their asceticism – are meditative; the eyes look downwards and the posture shows the Buddha in a profound state of oneness with himself. The exhibition, however, was silent on a number of questions about the human form of the Buddha: what does the bump on his head signify? Why are his ears unusually long? Why is his right hand touching the ground? 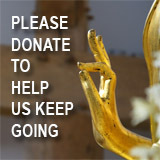 Did influences from “foreign” art contribute to Buddhist iconography that originated in India? “As can be seen in a head of the Buddha from Gandhara, identifying marks include a bump on the top of the head, signifying his advanced spiritual knowledge; elongated earlobes and shortly cropped hair, the result of Siddhartha removing his earrings and cutting off his long hair when he renounced palace life,” according to an essay by the Asia Society Museum. The pose showing “bhumisparsa” (“bhumi” means earth and “sparsa” touch) is believed to have been drawn from Buddha’s enlightenment moment, when he was beset by a demon. The “bhumisparsa”, therefore, was the monk’s way of drawing the earth’s attention to his attainment, thus disrupting the demon’s attack. There is no commentary either on the varying body structures of the Buddha sculptures in the exhibition. While some of the Indian statues show the monk as hefty and muscular, artistic counterparts from outside India depict leaner bodies – such as an 18th century brass statue from Myanmar. In an ancient sculpture from Chittagong in Bangladesh, the Buddha figure appears far younger, and in a yellowing marble statue from Myanmar, he is far smaller in size – almost child-like. In a 1st century CE sculpture from Uttar Pradesh, the Buddha takes a break from his contemplative, downward gaze to show a smiling face. His face elongates and his nose becomes sharper in a bronze artifact from Tamil Nadu. It may be oxymoronic to depict Buddha – the symbol of austerity – adorned with jewels and crowns, but it fuelled the imagination of artists in Myanmar and Bihar, for example, as if reminiscing about his royal past as a prince. A wood carving from Myanmar turns him into a warrior, sitting in his staple meditative posture but wearing stylish armour and probably a helmet. The criss-crossing of designs – regional differences in the depiction of body type, facial characteristics and costume – testifies to the flowering of Buddhism outside India, its birthplace. “Buddhism spread across a wide area, from India to Central Asia, Southeast Asia and East Asia,” according to the exhibition, adding that it spread to Myanmar by the 5th century CE. Buddhist beliefs continued to exist in various forms in India’s neighbours, even though it declined in its homeland, the exhibition said. With this enriching of Buddhist iconography from its austere beginnings, a new kind of art emerged under the influence of Hinduism. The statues – some of them deities, some diverse forms of Buddha or the spiritually evolved Bodhisattva figures – have multiple faces and arms, wear ornaments and revel in the beauty and sensuousness of their bodies. From the grandeur of the deities, the shows moves on to the stupas – the most formidable and sacred representation of Buddhist faith. They hold the cremated relics of the religion’s founder. But the exhibition showcases a single stupa – a thick, cylindrical shaped structure from Bihar, with the Buddha seated in the centre. There is no information on the development and rise in the construction of stupas, especially by King Ashoka. Arbitrarily placed in the midst of statues and sutras showing Buddhist teachings is a wooden pagoda from Myanmar. The “Buddhist Art in India” exhibition raised more questions than answers, sometimes perplexing the visitor with historical or mythological jargon such as Esoteric Buddhism, Mahayana Buddhism, Bodhisattvas or Gandhara Art. 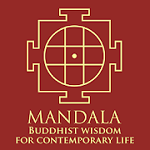 A section on Buddha’s miracles does not say anything about what these miracles – of Sravasti or the Taming of Nalagiri, for example – meant, prompting me to Google each word. The exhibition was previously showcased in Shanghai, Singapore, Tokyo and Kolkata.